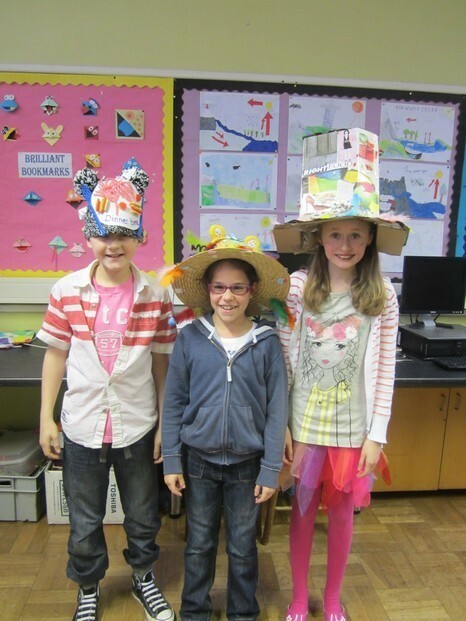 HPS really did enjoy being Madhatters for Children In Need Day! What a day! The boys, girls and members of staff had a great day in school! Everyone entered into the spirit of things! We were delighted to see so many creative and very original designs. Thank you mums, dads, grannies and grandas for helping to make this such a special day. Thank you to everyone for their generosity. Over £500 was raised! All the photographs can be seen in our gallery. We also presented prizes to two children from each class for their extra special hat! The winners can be seen here. Posted on November 15, 2013 by Holywood Primary.